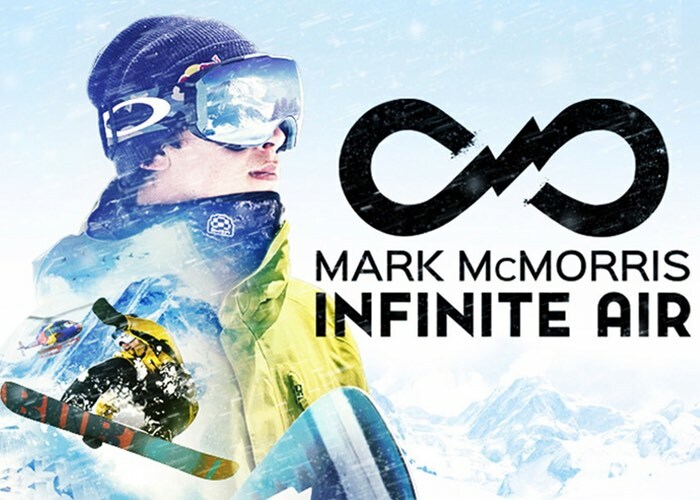 If you are patiently waiting for the launch of Infinite Air with Mark McMorris you will be pleased to know that it is now available to preorder and pre-download onto your games console, in preparation for its release later this month on October 25th 2016. Infinite Air with Mark McMorris will be available to play on the PC, Xbox One and PlayStation 4 and if you preorder you will receive an in game accessory which could take the form of clothing or snowboards. Check out the trailer below to learn more about what you can expect from the gameplay within Infinite Air. Mark McMorris Infinite Air is a fresh welcome into snowboarding for newcomers and a challenging step into untracked territory for seasoned boarders. Get ready to shred custom-built runs and show off gnarly tricks across vast, personalized terrain parks. Awe-inspiring environments, fluid snowboarding maneuvers and authentic competitions craft an exhilarating and realistic experience on the snow. Infinite Air is equipped with an enhanced editor that allows players to create custom parks for complete immersion into the sport of snowboarding. • Ride with the Pros. Join top snowboarder Mark McMorris and other pros in the most authentic snowboarding game to date. • Genre-Defining Realism. Fluid analog controls and physics-driven animations capture the true feel of snowboarding, allowing for skill-based trick executions and your own flavor of creativity. • Challenge Your Friends. Compete in real-world events and go head-to-head in Slopestyle, Big Air, and Halfpipe competitions. • Infinite Runs to Ride. Procedurally generated mountains and an intuitive map editor deliver an infinite number of mountains to explore and big air to find. • Share and Explore. Share your course creations with friends online, and explore the best runs the community has to offer.